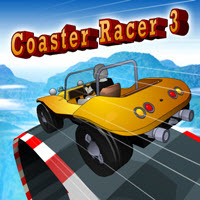 Coaster Racer 3 - Game '+g+"
Controls : AWSD / Arrows. Z or M to freestyle (to build up nitro) and X or N to use nitro boost. Tags : Racing, Car, Bike, Upgrades, Sports, Action.